"Touch Your Bathroom". While it can be difficult to write about bathroom fittings, to find yourself looking for an inspirational starting point can be as hard. 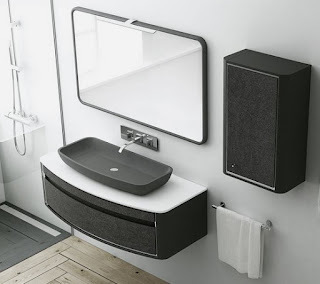 But we are talking about Fiora , a company based in Spain with a formidable reputation on the continent for quality designed bathroom furniture and more. The hook "Touch Your Bathroom" might have puzzled me a few years ago, not now. I have never felt the desire to run my fingers over a basin in one of the UK diy sheds that sell bathrooms. 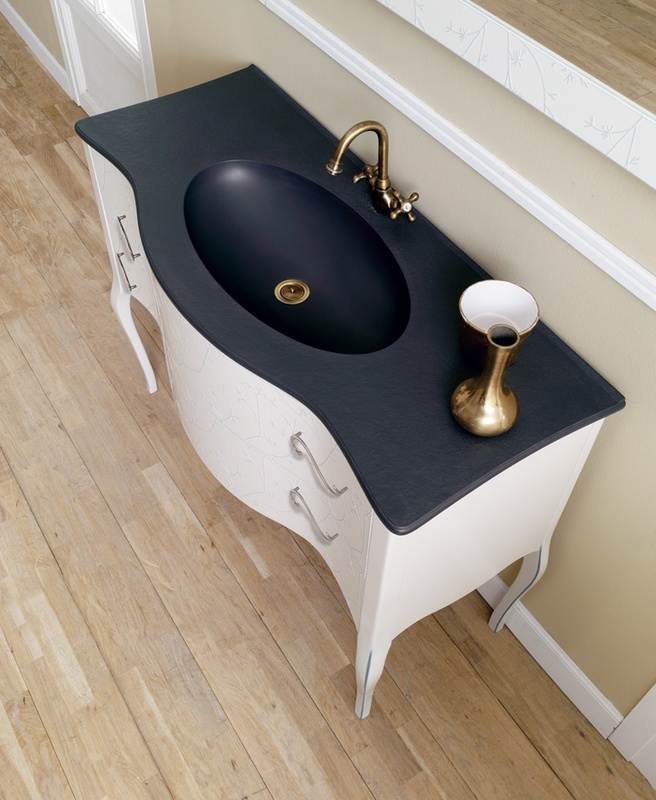 However when you see mineral cast basins, glass, and textures such as manufactured by Fiora the urge is there. The feeling of good material is obvious. The warmth is almost like a kiss on the skin. Fiora now design the full wetroom experience. Beautiful wall panels unveiled at Cersaie 2015. Shower trays of different sizes and styles, all available in every RAL colour, even white. 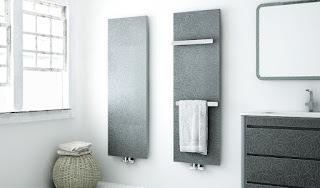 Fiora also do radiators - plumbed, and electric. There is the option to attach a towel rail or two. We love their basins. Again these are tailored to suit the furniture and flat white is not your only option. There are gorgeous mirrors, cabinets. The range of styles is enough to satisfy any discerning client. 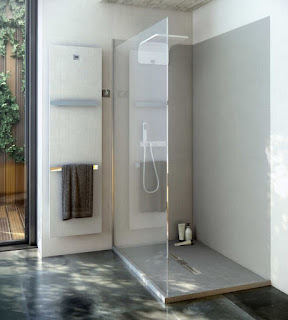 The choice of materials is key to how Fiora are so confident within the bathroom/ wetroom market. Don't worry that they don't do taps - complimentary brassware from Maier Griferias and Samuel Heath looks fantastic, again more accounts we have. Up there with Burgbad, Fiora have nailed quality bathroom furniture. They have the edge with their wall panels and shower trays. We love them a lot. 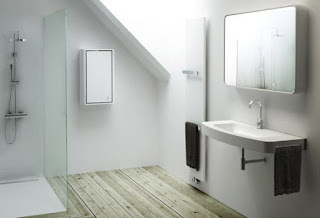 Touch Your Bathroom - if it's not as comforting as you now think, then have a look at Fiora.